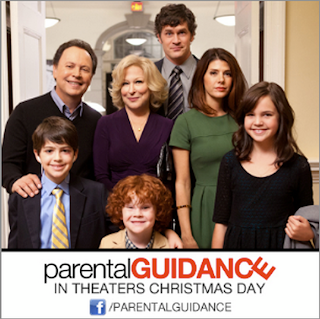 20th Century Fox’s upcoming release PARENTAL GUIDANCE, starring Billy Crystal and Bette Midler is opening this Christmas! 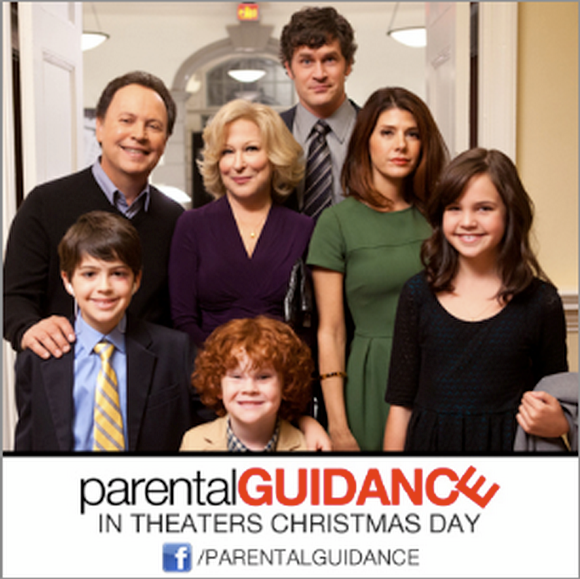 Below are holiday recipes from the PARENTAL GUIDANCE cast and director! 1. Melt 3 tablespoons butter in sauté pan over medium-high heat. Cook bell peppers and mushrooms in butter, stirring occasionally, until soft. from heat. Stir in broth, milk and heavy cream. Heat to boiling, stirring constantly. Boil and stir 1 minute. 3. Stir in bell peppers, mushrooms, chicken, pimientos, and Sherry. Cook until hot. Serve over puff pastry or toast. Auntie Carol, who I call "Carrie," is a great cook. She has us over to her house for the holidays when I'm in Connecticut visiting, and she always makes her amazing cranberry sauce. It's like candy, but you get away with it because you eat it with your turkey! This recipe is one that Carrie got from my great grandmother (Grammy) and then added her own ingredients to make it extra yummy. Grammy is 90 and is not in the best health now, so it's especially delicious, knowing that it was a recipe passed down from her. Use a fine grater to collect the zest of the orange and the lime, and set zest aside. Squeeze the juice of the orange and lime into a 1 cup measure. Top off with water. Peel and core pears, and cut into ½ Inch pieces. Add the sugar and liquid to a medium saucepan and bring to a boil. Add the pears to the cranberries mixture. Simmer until all the cranberries have popped and the pears are tender. Transfer to a bowl, cool, and refrigerate several hours before serving. My Mom - Ruth's Famous Holiday Snickerdoodles! My first time away from home over the holidays, I wanted to impress my girlfriend at the time with my mom's famous Snickerdoodles. My intention was to make up a batch and wrap them up and put them in her Christmas stocking. I was running short on time and thought I could scrimp on some of the ingredients, so it was more like 70% my mom's recipe and 30% my brilliant improvisational ingredients. I made the batch, so proud of myself, and decided to indulge with a few cookies to treat myself for all of my hard work and to savor the sweet taste of success only to discover perhaps the worst tasting cookie on the planet. In a panic, I called my mother back home in Texas who made up a batch and FedExed them to me and I was able to get them into my girlfriend's Christmas stocking in the Jolly ole' nick of time. Lesson learned: Never mess with perfection. Mama knows best.